Helen has spent 30 of her 33 years in structural engineering with R+C. She nurtures her projects and will go to great lengths to ensure they succeed. She works closely with clients to achieve their visions of a building's potential. During the course of her career, she has focused on university buildings, libraries and hospitals. Helen continues to specialize in healthcare projects. 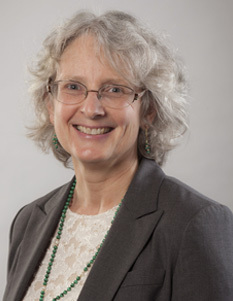 Her projects include the renovation and RACS (Removal from Acute Care Service) project of the Davies Campus at the California Pacific Medical Center and the new Precision Cancer Medical Building at UC San Francisco Mission Bay Medical Center. Helen chairs R+C's board of directors and manages the firm's internal operations. Helen recently completed the UCSF Medical Center at Mission Bay. The integrated and highly collaborative project brings medical innovation to patients, doctors and staff in a healing and thoughtful facility that will help anchor the Mission Bay community.